Nail A College Drop Out: Tupac Back!! That was a hologram at Coachella. However, I do have a Layla Hologram Effect to show you. 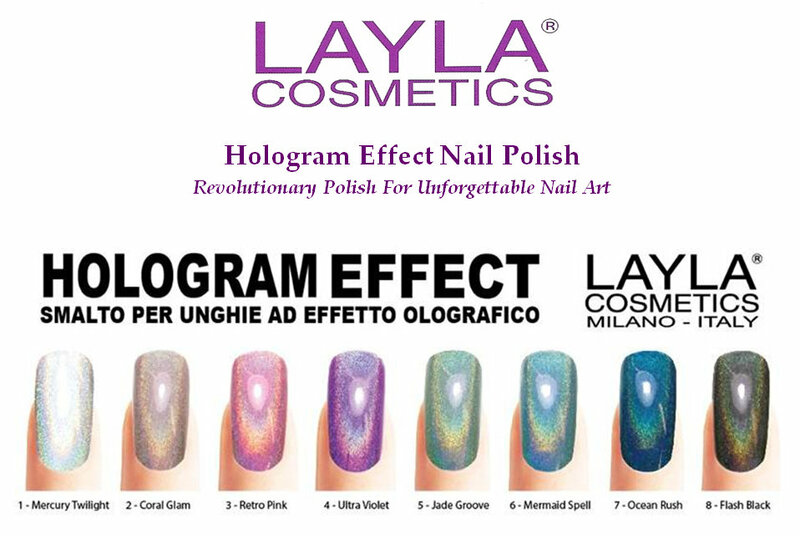 Ultra Violet (along with all the other Layla Hologram Effects) is a very strong linear holographic polish, much more linear than I could capture. I'll do a full review later in the week when there is some more sunny weather. "Fantasy creates holograms... Layla transforms them into reality"
I want some of those holos!!! Ohhh AMAZING colour! Reminiscent of the GOSH holo that I can't bloody buy anymore!! Lovely!